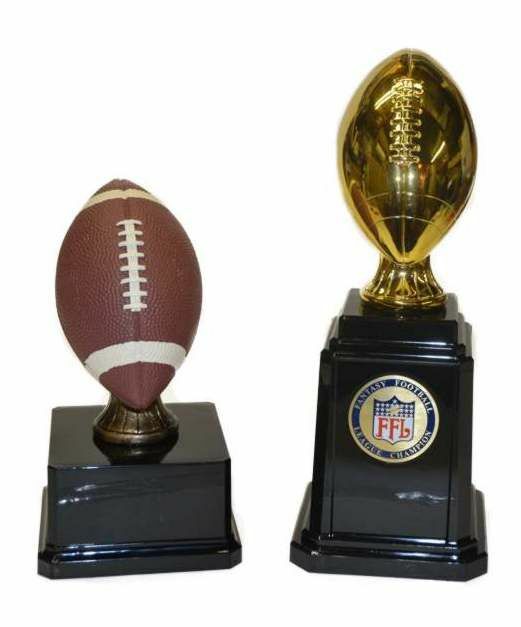 and sits on top of your choice of a standard base which stands 9" tall, or a tower base with FFL Champion Disc which stands 12" tall. 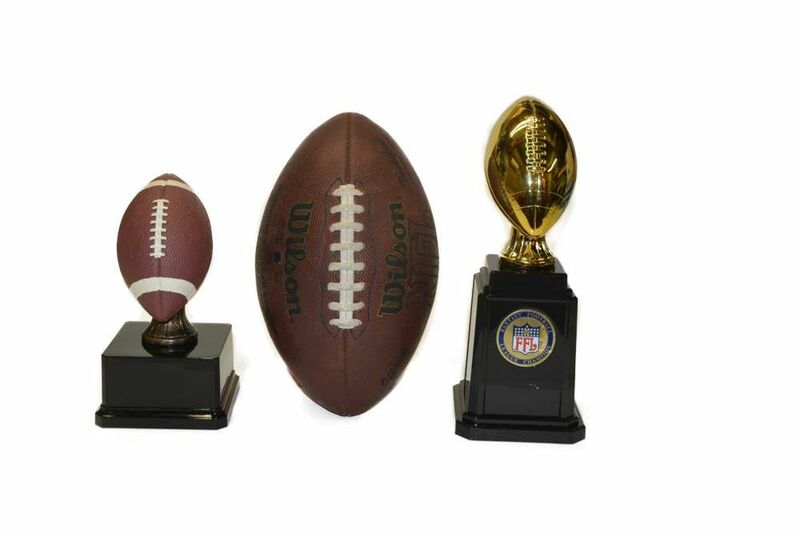 The full color football is textured just like a real one and the shiny gold has a smooth / mirror finish. You can add a Hall of Champions plate to this trophy to display your league's winners. The HOC plate will go on the side and we will create a file and hold your information so the plate can be updated each year (For the same $10 each time) with your new winner's information.